“One small step for men, a giant leap for mankind” – No one will ever forget these legendary words from Neil Armstrong, first man to set foot on Moon. It’s Apollo 11 space flight from NASA made first successful manned Moon landing in the history, on 20th July 1969. NASA also held the record of other five successful manned Moon landings in between 1969 to 1972. Twelve men in total got chance to walk on Moon surface by Apollo Moon missions from NASA. 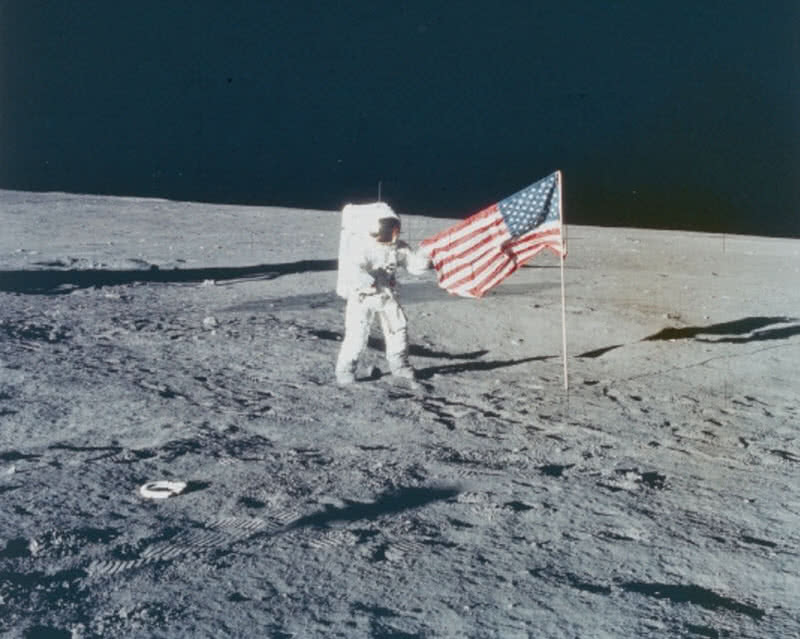 Here the list of 6 successful manned Moon landings in the history. Apollo 17 was the sixth successful manned mission to Moon from NASA, last recorded landing of humans on Moon surface. Also the last Apollo flight program from NASA. It was launched on 7th December 1972 with crew Eugene Cernan, Ronald Evanan and Harrison Smith.After four days of journey the lunar module from Apollo 17 landed on Moon surface on 11th December 1972. Apollo 17 spacecraft put the lunar module Taurus-Littrow region of Moon surface, where both young and old volcanic rock presented. Only Eugene Cernan and Harrison Smith stepped down to Moon surface for scientific experiments. They spent three days and three minutes on lunar surface for various operations and collection of lunar samples. The crew covered 36 kilometers on Moon surface using lunar rovers. This extra vehicular activities helped them to collect lunar samples from 22 different locations. They also collected both ancient and younger volcanic rocks including soil from depth of three meters from surface of Moon.After finishing all experiments within the list of mission they safely returned to Earth on 19th December 1972. Apollo 16 from NASA was the first mission to land in the highlands of Lunar surface. the spacecraft was launched on 16th April, 1972 from Kennedy space center and made a safe landing on lunar surface on 21st April, 1972, at descartes mountain range on moon. US astronauts John Young and Charles Duke spent almost three days on lunar surface. Using the lunar rovers the astronauts conducted extra vehicular activities on Moon surface, covered 20.7 kilometres and conducted nine scientific experiments at eleven different sites. It also helped them in collecting samples, collected almost 90 kilograms of samples from Moon. They also conducted many scientific experiments from lunar orbit, also captured many images of Moon from the orbit. The third astronaut Ken Mattingly spent four days and two hours on lunar orbit during this mission and returned to Earth on 24th december 1972. 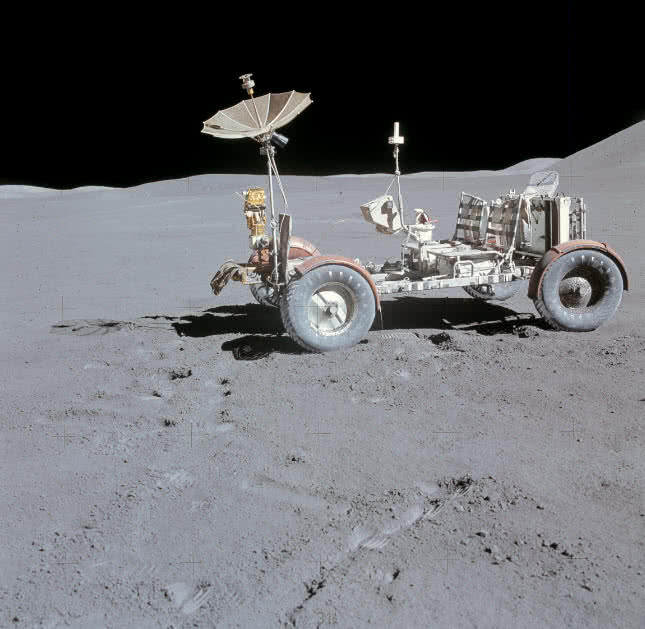 Apollo 15 was the first manned mission to use lunar roving vehicle. It was launched on 26th July 1971 with three astronauts, David R Scott, Alfred M Worden and James B Irwin. The lunar module from Apollo 16 safely landed on Moon on 30th July 1971, in the Hadley-Apennine region on Moon where vast filing of mare imbrium presented. This lunar mare is one of the largest crater on solar system. Astronauts David Scott and James Irwin performed 18.5 hours of extra vehicular activity on lunar surface using the rover. They collected 370 individual rocks and soil samples during that exploration. At same time Alfred M Worden made many scientific experiment from lunar orbit. The Apollo 15 crew spent two days and 19 hours on Moon and reached back to Earth on 7th August, 1971. Apollo 14 was launched on 31st January, 1971 from Kennedy Space Center. This mission included three US astronauts, Alan Shepard Jr, Stuart A Roosa and Edgar D Mitchell. The lunar module of Apollo 14 landed on surface on Moon on 5th February, 1971, in Fra Mauro valley on lunar surface. The astronauts of Apollo 14 also have primary mission to collect as many samples from this area. Stuart A Roosa remained in lunar orbit and made number of scientific experiments. Alan Shepard Jr and Edgar D Mitchell collected many rocks and soil samples from 13 different locations. They also made scientific experiments on lunar surface to retuned the data to Earth. They spent 33 hours in total on Moon for surface operations and scientific experiments, returned safely on Earth on 9th February 1971. Apollo 12 was the second successful manned Moon landing from NASA. It was launched on 14th November, 1969 with crew including astronauts Charles Pete Conrad, Alan L Bean and Richard F Gordon. The lunar module containing the astronauts Charles Pete Conrad and Alan L Bean safely landed on Moon surface on 19th November, 1969 in oceanus procellarum area. Richard F Gordon remained in lunar orbit for controlling the units. They explored an area around 0.5 kilometers around the lunar module. They spent almost one day and seven hours on Moon for collecting lunar samples, deploying experiments and taking photographs of the surface. Apollo 12 crew collected 35 kilograms of lunar samples in total and safely returned to Earth on 24th November, 1969. 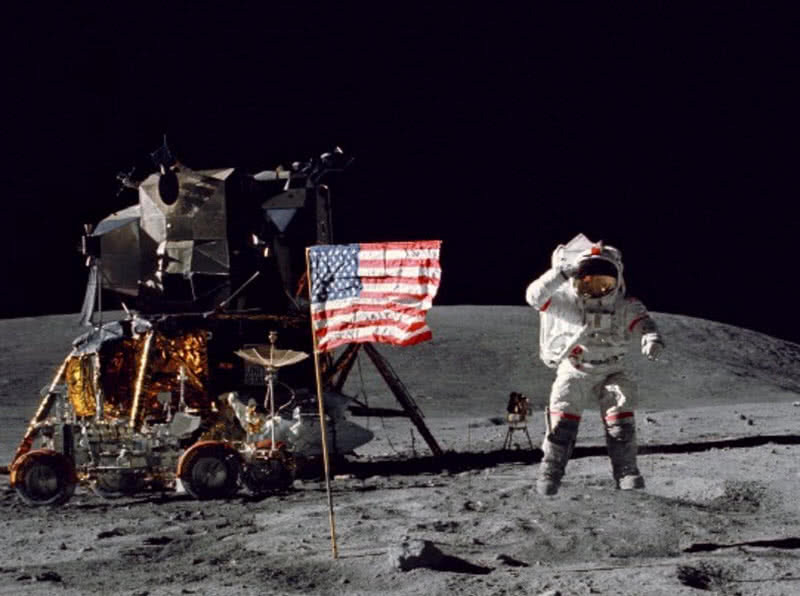 Apollo 11 from NASA was the first ever spacecraft to put man on Moon. Apollo 11 was launched on 16th July, 1969 from Kennedy Space Center with crew including Neil A Armstrong, Michael Collings and Edwin E Buzz Aldrin. The lunar module called ‘Eagle’ landed safely on surface of Moon on 20th July 1969. 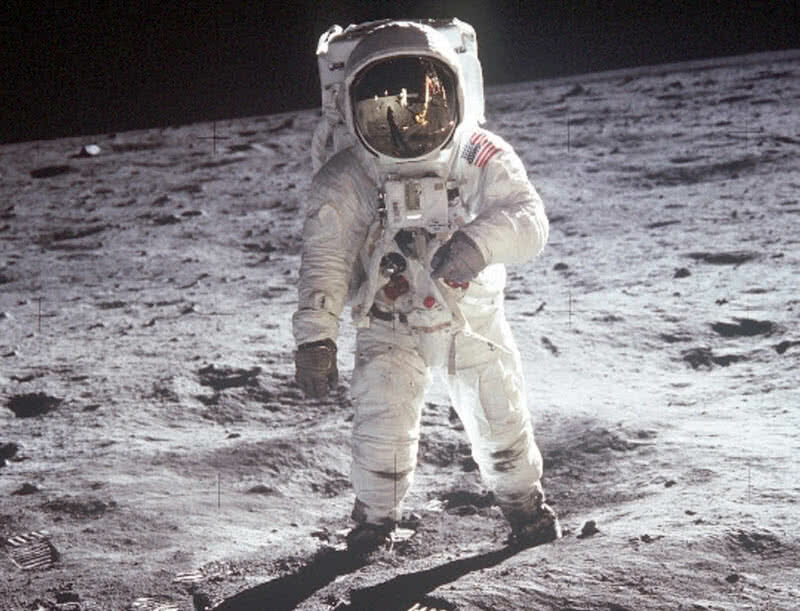 Neil A Armstrong became first human to step on to surface on Moon at 10.56 pm EDT on 20th July 1969. “That’s one small step for a man, one giant leap for mankind” he proclaimed just after step on Moon surface. Edwin Aldrin also joined Neil A Armstrong for exploring lunar surface. 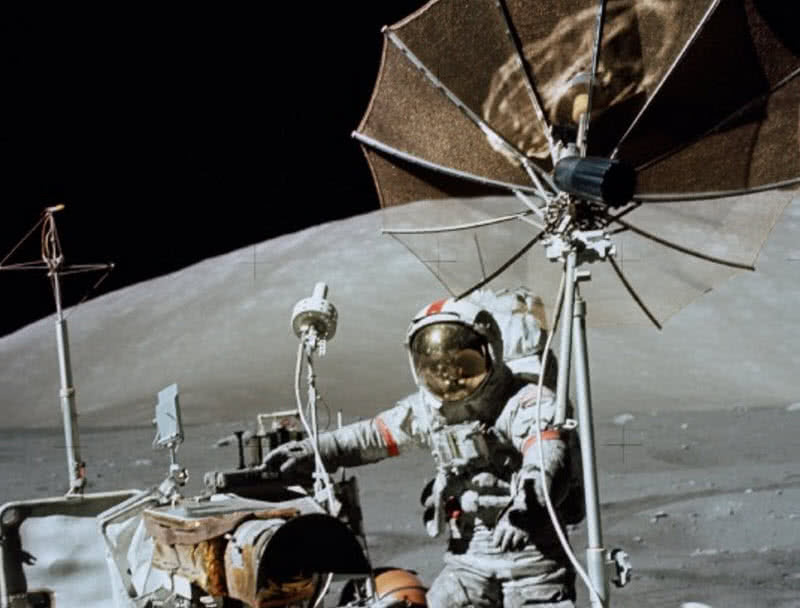 They spent two hours and 50 minutes on Moon surface for collecting samples and conducting various experiments. 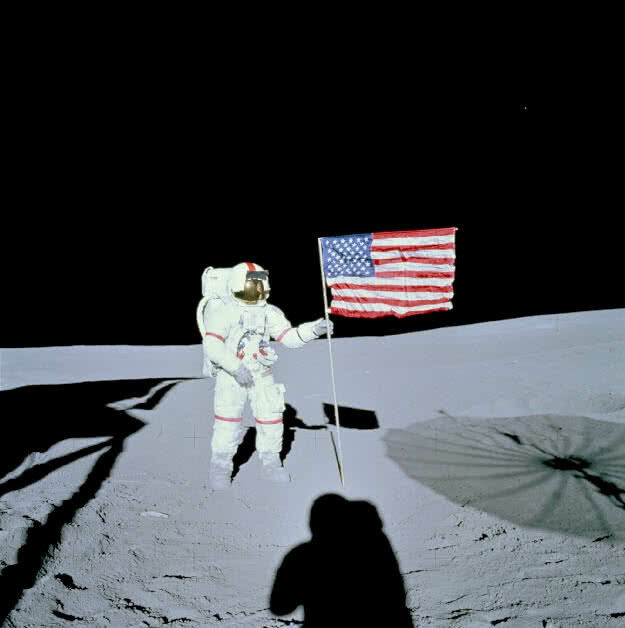 The astronauts also put an American flag on surface of Moon before they returned to lunar module. They also took many photographs from surface of Moon and lunar orbit, collected 21.5 kilograms of lunar samples. They completed all operations and experiments within the mission satisfactorily and returned back to Earth on 24th July, 1969.